Holidaymakers who book flights from abroad to the UK are paying extra, as Ryanair continues to automatically switch currencies at the time of payment. Like other carriers, Ryanair displays the price of your ticket in the currency of your departure airport. So if you’re buying a flight from France or Italy, for example, back to the UK, the fare is advertised in euros. But what Ryanair then does, when you enter your card details at the very end of the booking journey, is switch the price into pounds. And as our research showed last March, this switch is always at a terrible exchange rate. In all 10 flights we looked at this switch caused passengers to pay more than if they had stuck to paying in euros and let their bank or card provider do the currency exchange. The option to opt out of Ryanair’s exchange rate is hidden under a box out titled ‘more information’. 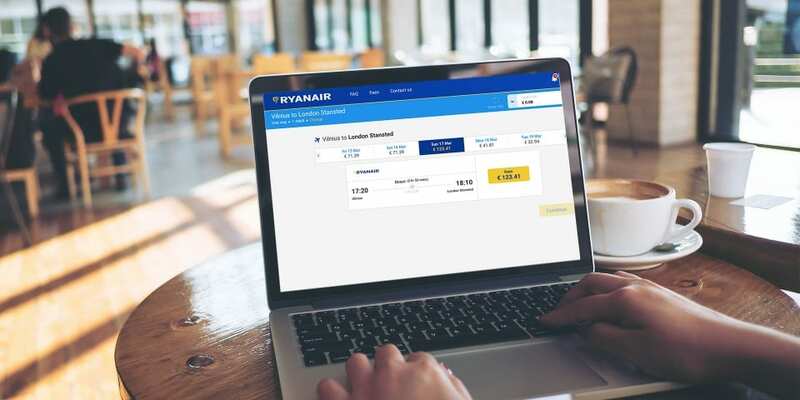 It’s been almost exactly a year since we first reported on this rip-off, but Ryanair continues to automatically opt passengers in to its terrible currency conversion. When we checked again this week we found a flight from Alicante to London Gatwick advertised at €156.45. But at the point of paying, Ryanair switched the currency into pounds. The total fare was now £145.82; an exchange rate of 93p for each euro. On the same day, Visa had a euro/pound exchange rate of 87p for each euro. So if we had opted out we would have paid just £137.10 for the same flight– nearly nine pounds less than with Ryanair’s currency exchange. Ryanair continues to hide information about its exchange rate and the option to opt out under small print titled ‘click to find our more information on our guaranteed exchange rate’. When passengers do click through they are then faced with a warning that opting out ‘could result in significantly higher costs’. We contacted Ryanair to ask why it continues to automatically opt its customers in to a significantly worse exchange rate. At the time of publishing it had not responded. Last year, it did respond, telling us it ‘complies with EU and national laws on consumer protection’. At the time we reported our findings to the Civil Aviation Authority (CAA) because we are concerned that the manner in which Ryanair presents the rate to customers (when warning that opting out could end up costing ‘significantly more’) could be misleading and in breach of consumer protection legislation. We asked the CAA to update us on any action it is taking but at the time of publishing it had not responded. Always pay in euros or any other local currency when booking flights back to the UK. It’s better to let your card provider or bank make the currency conversion, not Ryanair. Skyscanner vs Momondo - who should you book with?